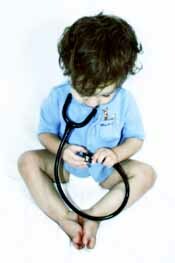 We provide primary health care to patients of all ages from birth to age 100+. Don't see what you need here, call our office for more details of the services provided at our clinic. "Specializing in All of You"
Our practice is especially prepared to handle the needs of part-time residents. We work together with patients and thier providers "back home" to insure consistant health care coverage while in your cool or warm weather home. **These are just a few of the insurance companies we are contracted with... Call Today to see if we take your insurance.